Endoscope sterilisation. 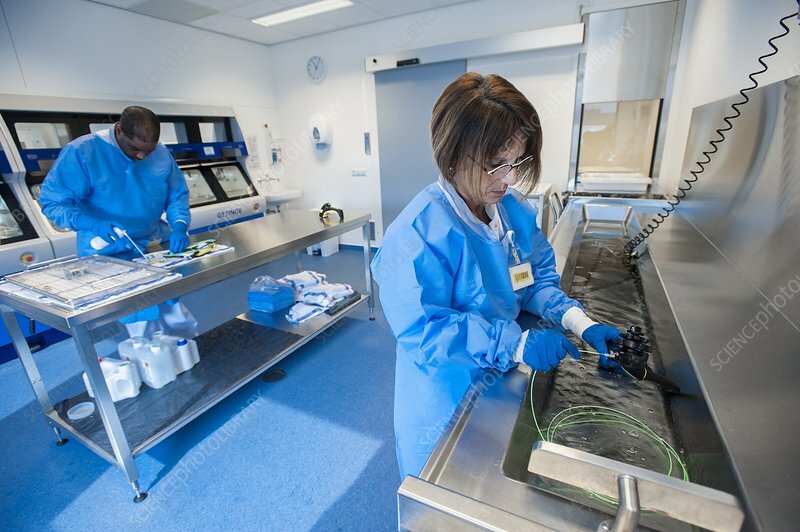 Technicians cleaning endoscopes in the sterilisation department of a hospital. The scopes will then be sterilised ready for their next use. Photographed in the Netherlands.